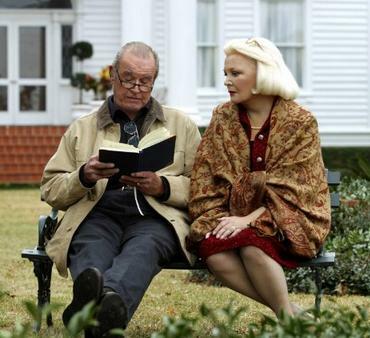 James Garner and Gena Rowlands in "The Notebook." BRENTWOOD—On July 20, actor James Garner, 86, passed away in his Brentwood home. According to reports, Garner died of natural causes. Garner began acting after his participation in the Korean War, where he received two purple hearts. James Garner was born in Norman, Oklahoma on April 7, 1928. He began his acting career in 1955 in the television program â€œCheyenne,â€ but rose to fame in his role of Bret Maverick in the series â€œMaverickâ€ in 1957 and as Jim Rockford in â€œThe Rockford Filesâ€ in 1974. Garner was known for his ability to enchant viewers on both the big screen and the television screen and received the Screen Actor Guild’s Life Achievement Award in 2004 where he expressed his thanks and gratitude towards his fellows commemorating his work saying, â€œto have actors think of me in these terms touches me deep, deep, deep, deep in my heart,â€ according to the Screen Actor Guild’s Website. Garner’s last television works included a role in the television sitcom â€œ8 Simple Rulesâ€ featuring the late John Ritter, Katey Segal, Kaley Cuoco and David Spade. Garner is survived by his wife, Loise Clarke Garner, and daughters Greta Garner and Kim Garner and two grandchildren.